Often one of the most daunting parts of wedding planning is gathering everyone’s names and addresses. We get a lot of questions about how names, titles, different family situations, and addresses should be handled. 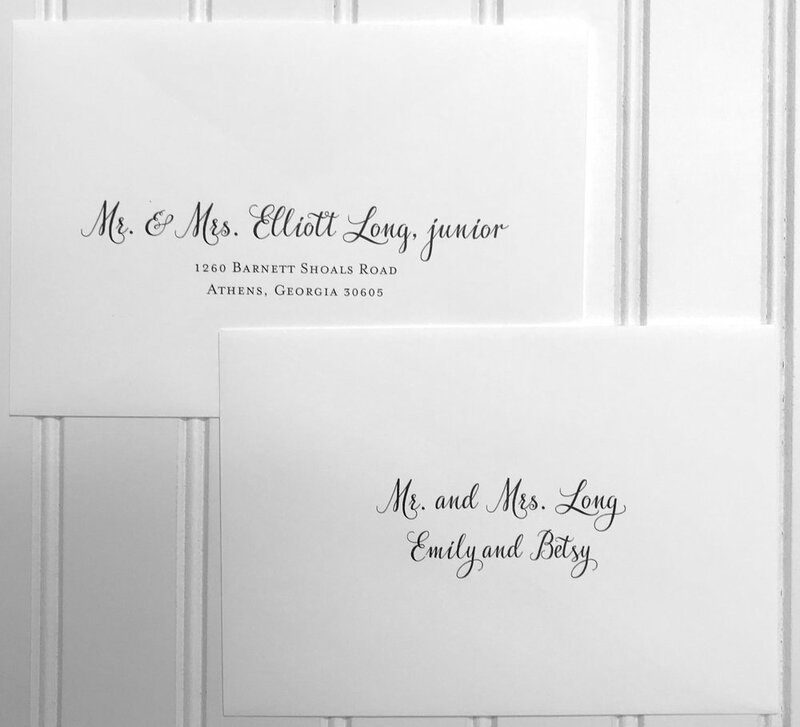 Here we list some suggestions from our friends at William Arthur for addressing your invitations, and how to set up your excel spreadsheet. Don’t see your situation on the list below? Give us a call or come by the store and we will be happy to help! 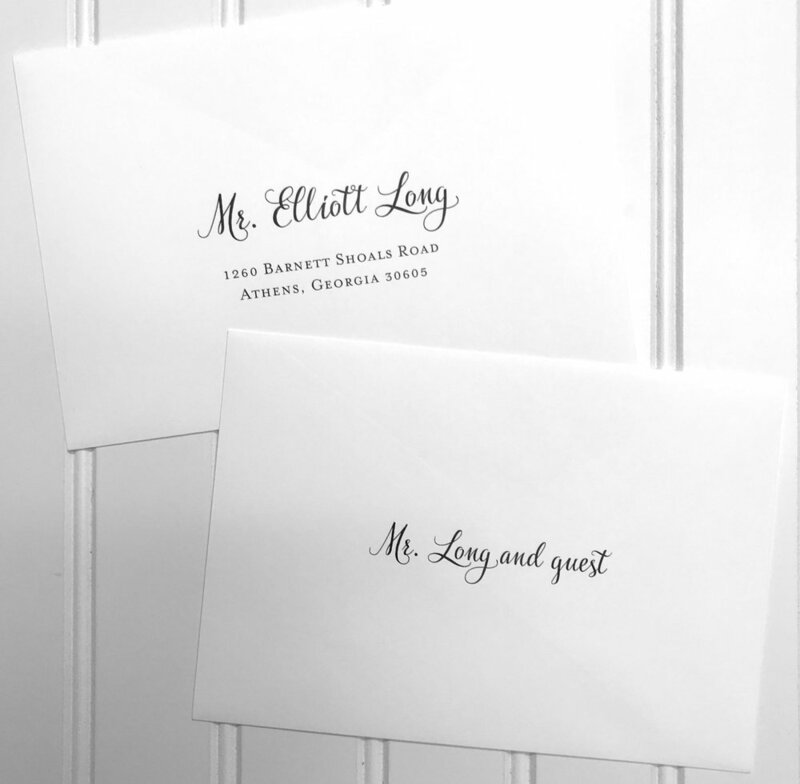 It is traditional to use the complete, formal name and address of your invited guests. Use the full middle name where known. If not known, do not use initials, simply omit. It is also traditional to spell out Avenue, Road, and Street as well as the State name. Keep in mind, if you use inner envelopes, you may write the names of relatives and friends in informal or familial terms. It is correct to send a separate invitation to children over 18 years of age.